As people knows about Stoneage Jeans and their clothing range from women wear and men wear collection for every consecutive season, from casual wear to party wear collection that suits well on all young people. 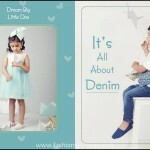 Now Stoneage Jeans introduces new dresses range for little girls and boys. 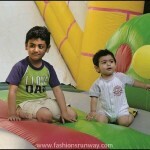 So the brand has launched recently its debut kids collection 2015 for boys and girls. Few days before, Stoneage Jeans organized an fashion carnival in Lahore’s flagship store at M.M Alam Road, Gulberg where Stoneage reveals its latest and debut kids wear collection 2015 for little girls and boys. The collection is titled Stoneage Kids Spring Summer 2015 Collection that hit all Stoneage Jeans stores in Pakistan. Stoneage Jeans management teams smartly organized fashion carnival that got tremendous response in Lahore where the clothing brand showcased Stoneage Kids spring summer collection 2015. 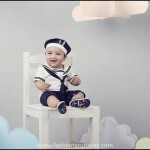 The brand exclusively proposes contentedly fashionable garments for children who are between one to eight years old. 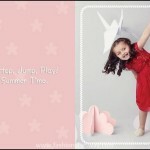 Stoneage Kids collection includes a variety of animated color shades, flowery designs, attractive niceties and unfussy features are the central premise of the Stoneage kids spring summer collection 2015 for children. 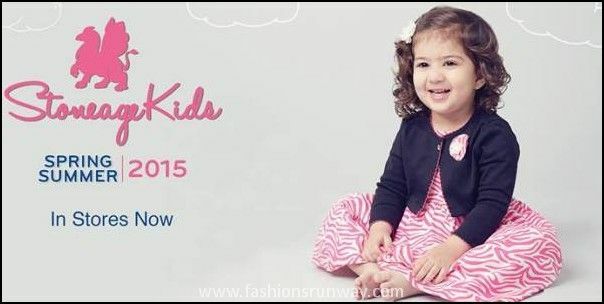 The price range of Stoneage Kids Spring Summer Collection 2015 is betweek PKR 1500 to PKR 5000. 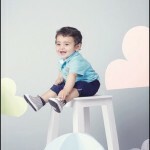 Stoneage new children wear range for 2015 encourages the inspiration of life form as good-natured, so that every little boy and girl happily bounce, churn, trip, shoot and have fun by wearing exclusive kids collection by Stoneage Kids. Check below here Stoneage Jeans latest and debut Stoneage Kids Ready to Wear Spring Summer Collection 2015 for boys and girls. The fashion carnival by Stoneage Kids was managed by Sana Bhatty & Zahra Bhatty where top of the famous and renowned celebrities attended the launching event of Stoneage Kids spring summer collection 2015. Soem celebs names are Faraz Manan, Humera Malik, Ahmed, Yawar, Arun Zafar, Ayesha Khan, Meherbano Sethi, Saira Rizwan, Saa Malik, Sana Bashir, Hina Salman, Shoaib Shafi, Zeeshan Zakaria, Uzma Khan, Zainab Salman and Aamir Mazhar.